Jesus said to them, ”I am the bread of life. Welcome to St. Mary’s Catholic Church in Carleton Place, Ontario. 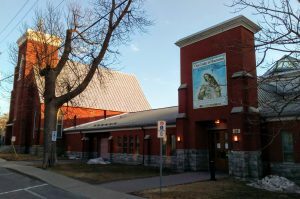 St. Mary’s Church started out as a small parish in Carleton Place 126 years ago. We have since added several additions in order to allow the church to accommodate our growing family. Feel free to visit our church anytime or join our family of parishioners permanently.